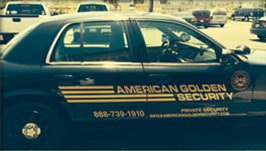 American Golden Security, Inc is a licensed private security guard agency specializing in deterring crime, preventing losses, and creating safe and secure environments in Southern California. We are fully insured and bonded and we provide Los Angeles and Ventura Counties with high quality guard services at affordable rates. We have the background experience and expertise to create comprehensive, customized security plans to meet the security needs and budget of any local business or residential community. We offer mobile patrol, vehicle patrol, standing guard, 24-hour alarm response, lockup and alarm, emergency response, event security, parking enforcement, logistics security, fire watch. Our services deter theft, vandalism, loitering, and graffiti. 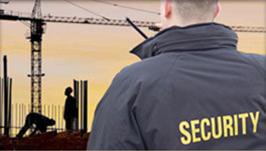 Businesses and communities of all sizes can benefit from our dedicated private security. 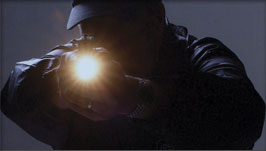 Our armed guards and unarmed guards are trained in all aspects of security including crowd control, surveillance, crime deterrence, patrol, power to arrest, communication, public relations, terrorism, weapons of mass destruction awareness, and more. They are all licensed by the Bureau of Security and Investigative Services. Our standing guards can be positioned at lobby areas, front desks, guard shacks, and other access points, or directed to patrol your offices and grounds. Security guards can be assigned to any number of duties, from greeting visitors, to inspecting bags and belongings, to controlling gate or door access. 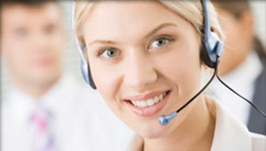 We work within our clients’ budgets to provide a number of substantial benefits. Whether you want a long-term guard or just a few patrol visits to your location, you will not only discourage criminal behavior, but also create a safe and welcoming environment for your employees, customers, visitors, and/or tenants. Also, there’s a good chance that you may save money on your liability insurance when you enlist our services. Call us today to schedule your free consultation! Athletics! Welcome to Reseda High School Athletics!